We work with various systems including SharePoint, our own in-house Document Management System (PincDocs) as well as custom built, client owned in-house solutions. We can implement the agreed solution on your servers or host the solution externally. The solution can be web-based or delivered on your existing IT network. If you require content, we can tailor a complete suite of documents or we will complete an existing suite of documents to ensure your Business Management System is suitable for your business needs. A Business Management System delivers the procedural documents required for a business to manage all aspects of its functions (including the delivery of services for customers and clients). 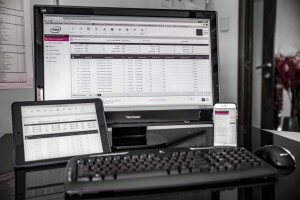 The Business Management System is a set of tools used to instruct the staff within an organisation on how to deliver their current activities, processes, procedures and tasks for the purpose of meeting existing quality and governance requirements and objectives and satisfying client and customer needs and expectations. Pinc Group can project manage the entire BMS implementation or assist with specific areas – whether it is writing a functional specification to ensure the correct system review processes can be applied through to creating content specific policies, procedures and templates for your organisation. The Business Management System Solution and why you need one? The Business Management System solution allows your staff and teams to access your businesses procedural documents. The BMS will also manage the way documents are grouped (related documents) and the periodical review process of your documents among many other functions. The Business Management System solution provides the framework, structure and processes needed to manage your procedural documents. Who benefits from a Business Management System? Everyone working in your business as well as your clients and customers will benefit from the implementation of a Business Management System. A good Business Management System will ensure a stronger adherence to your quality and regulatory requirements as well as providing a mechanism to effect change across your organisation. The succession planning and knowledge management transfer within your business can also become a much smoother transition with the Business Management System ensuring that business knowledge and processes are shared and recorded for all to use and improve. The sharing of information should be a key objective within an organisation and the Business Management System is the tool that captures, collates and manages this information. 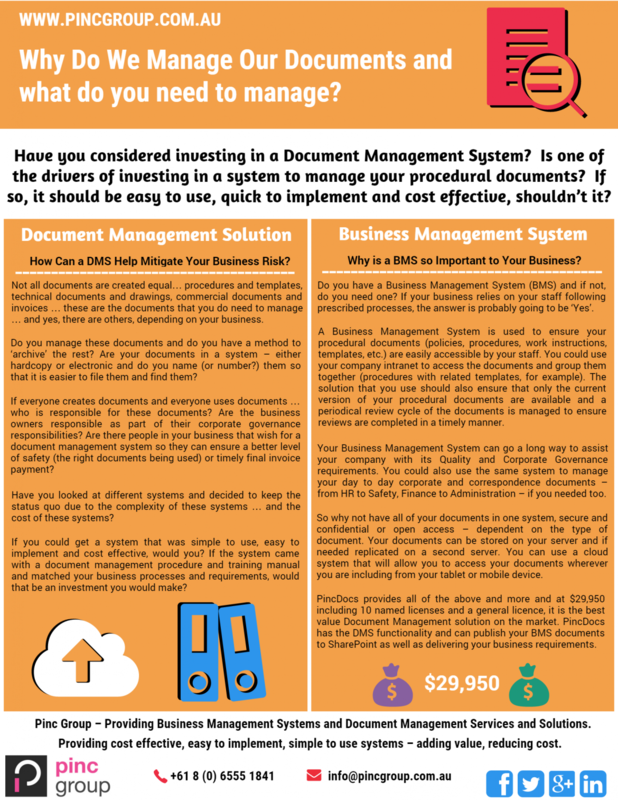 What documents are managed in a Business Management System? While there are many other types of documents that can be included in a Business Management System (manuals, process workflows etc. ), the mapping of the Business Management System will ensure the right documents are managed for your organisation.